After seizing Graceland, the former mansion of a major drug dealer, federal agents from the FBI, DEA and ICE use the California property to run undercover operations. After a small-time drug dealer's family is kidnapped by Russians, the rookie agent must remain undercover to save the family. 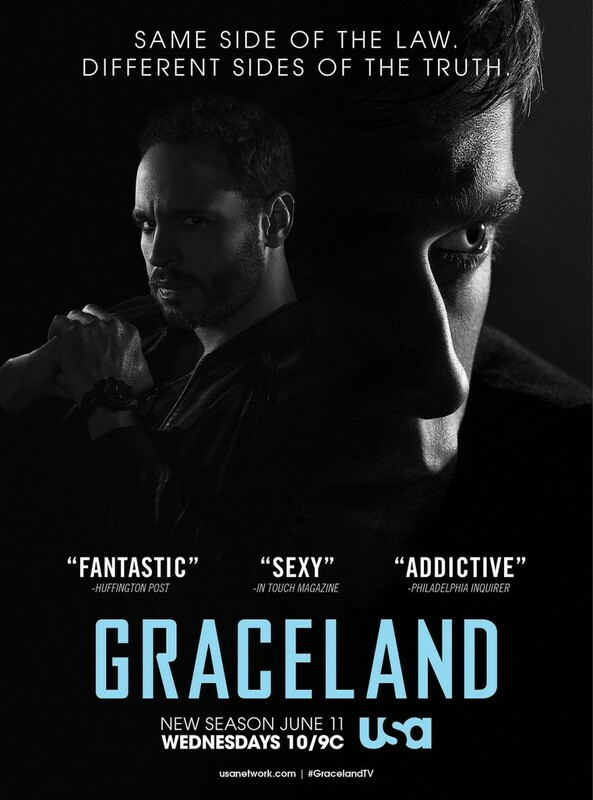 Based on a true story, Graceland details the relationships between one rookie FBI agent, his training officer and other federal agents as they unravel one crime at a time. DVDs Release Dates is the best source to find out when does Graceland come out on DVD and Blu-ray. Dates do change so check back often as the release approaches.